One of the 19 pilot astronauts selected by NASA in April 1966, Brand initially was a crew member in the thermal vacuum chamber testing of the prototype Command Module and support crewman on Apollos 8 and 13. 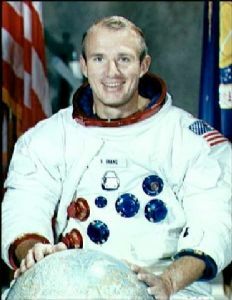 Later he was backup command module pilot for Apollo 15 and backup commander for Skylabs 3 and 4. When Skylab 3's CSM had problems with its Reaction Control System, Brand was put on standby to pilot a rescue mission, but was later stood down when it was decided that the problem did not require the rescue mission to be launched. As an astronaut, he held management positions relating to spacecraft development, acquisition, flight safety and mission operations. Brand flew on four space missions; Apollo-Soyuz, STS-5, STS-41-B, and STS-35. He has logged 746 hours in space and has commanded three missions. Brand departed the Astronaut Office in 1992 to become Chief of Plans at the National Aerospace Plane (NASP) Joint Program Office at Wright-Patterson Air Force Base. In September 1994, he moved to California to become Assistant Chief of Flight Operations at the Dryden Flight Research Center, then Acting Chief Engineer, Deputy Director for Aerospace Projects, and Acting Associate Center Director for Programs. He retired from NASA in January 2008.